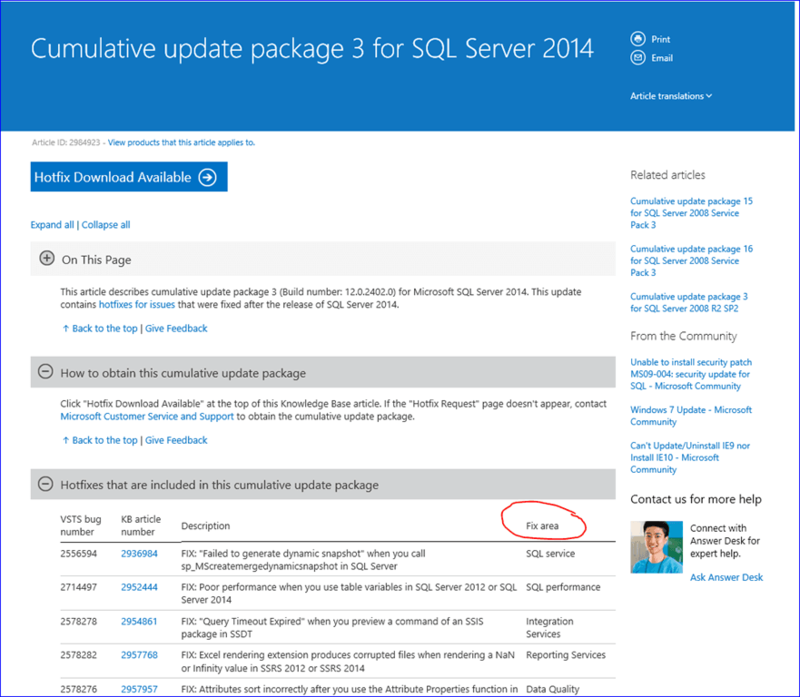 Microsoft has made a small, but helpful improvement to the format for their Knowledge Base articles that accompany new Cumulative Updates for SQL Server 2012 and SQL Server 2014. 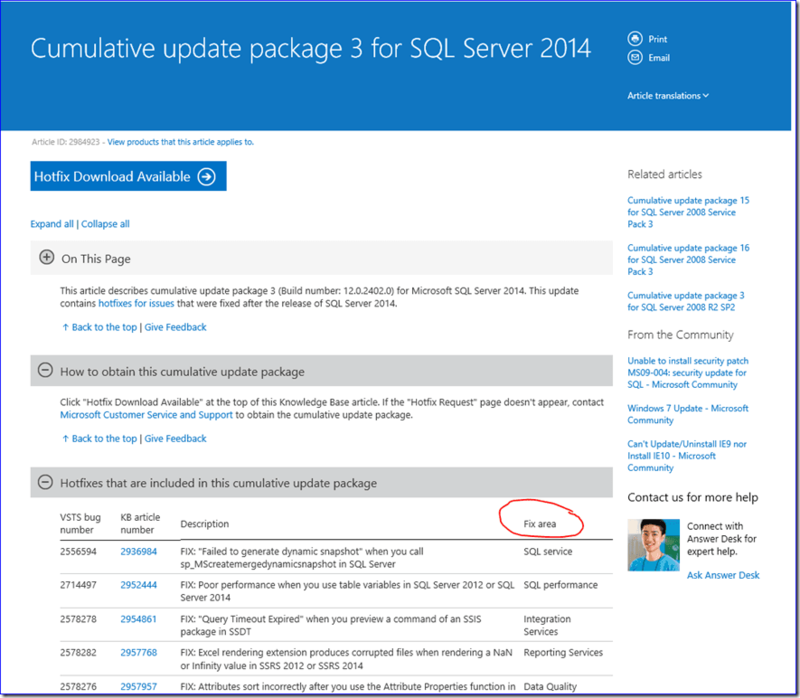 As you hopefully know, there will not be any more cumulative updates for SQL Server 2008 or SQL Server 2008 R2, since those versions are now out of mainstream support. There is now a new column in the hotfix table that lists the major functional area that the hotfix applies to (see Figure 1). Having this information readily available and visible can help you focus your efforts as you scan the overall hotfix list looking for relevant fixes for the SQL Server components you are using, which is something you should be doing when each new Cumulative Update is released. The fix area information is generated automatically (probably by VSTS), so it may not be 100% accurate, but it is certainly a good start.